America's drug policies just got a whole lot better. This week, the White House Office of National Drug Control Policy, the "drug czar" office, unveiled its first National Drug Control Strategy. The policy's release has been repeatedly rescheduled, and last week, drug czar Gil Kerlikowske explained the delays to me with disarming candor: "It's just been hard to get it on the president's calendar because of what he has had in front of him." Now that the strategy is out: What's different—as a matter of both the strategy document and Obama's broader approach to drugs—and what's the same? (1) We're still too focused on fighting drug suppliers. America will continue to spend billions on operations against drug suppliers which have little demonstrated value. In the run-up to this week's release, ONDCP tried to shift some of this money to a more balanced portfolio of evidence-based enforcement, prevention, and treatment efforts. But the office lost that internal political fight with the supply-side enforcement community, which favors an excessive emphasis on measures such as crop eradication, border interdiction, and law-enforcement operations against drug dealers, despite the lack of evidence that these actions effectively disrupt drug markets. (2) Prevention is still underfunded. In part because of entrenched political resistance from the supply-side enforcement community, and in part because of general budgetary pressures, the Obama administration is not providing sufficient funds to back up its own lofty prevention rhetoric. The $151 million increase in federal funding will be helpful, and ONDCP proposes more effective, evidence-based approaches than the federal government has employed before. Yet, as ONDCP Deputy Director Thomas McLellan puts it, that's "not a lot of money compared with what we could really do, given the state of the science. We could do a lot more with one point five billion." Given the amounts we know are required to make the best prevention programs work, this is a missed opportunity. (3) We're not focusing on other addictive substances. ONDCP would face a political firestorm in Congress (and, ironically, perhaps from others on the same turf within the public health community) if it addressed alcohol and tobacco in the same spirit as other addictive substances. That's too bad, because these separate lanes continue to undermine efforts to reduce crime and promote public health. (1) The attitude and orientation of drug policy is changing. Despite these missed opportunities, the new strategy is a major improvement. On the level of principle, I'm heartened that the plan departs from the traditional blunderbuss rhetoric of American drug policy. This change is matched by Kerlikowske's personal inclusiveness and civility, traits that his Republican predecessor John Walters—who is known for alienating liberals and conservatives alike with his ecumenical disregard for opposing views—certainly did not possess. (2) The definition of success is changing. During the past 20 years, as street prices of drugs have declined (underscoring the failure of enforcement efforts), more than 150,000 injection-drug users have died of AIDS, and the population of incarcerated drug offenders has climbed past 500,000. Yet ONDCP has still pronounced drug policy a success, as long as fewer Americans reported to national surveys that they had recently used some illicit substance. In effect, this yardstick elevated the prevention of casual marijuana use into the cornerstone of drug policy. Preventing simple use, particularly among young adults, remains a stated policy goal. Yet the new strategy focuses much more explicitly on harmful consequences: deaths, illness, and injuries associated with substance use. For the first time, ONDCP will help public health authorities implement syringe exchange. ONDCP also focuses on the surprisingly widespread problem of drug overdose, which now surpasses firearms as a cause of death in the U.S.
(3) Our health care and financing system is finally focusing on addiction. The best aspects of the new strategy concern addiction services. ONDCP's report acknowledges the uncomfortable reality that addiction treatment needs to improve. Kerlikowske explained, "We have about 12,000 treatment centers. Yet most of those treatment programs don't employ physicians. Some don't have computers. We're not particularly sure that they're using the best-tested or evidence-based treatment." On a day-to-day basis, the new strategy's most important policy goal is to integrate addiction services within general medical care. Only one in six Americans with drug or alcohol disorders will actually use specialty addiction services. Improving services within primary care and mental health services is thus essential to halting or reducing individuals' substance use. McLellan describes these aspects of the new strategy as "the biggest thing of my lifetime. … It's the end of segregation, separate but equal." The new plan pays special attention to improved diagnosis and screening. The medical community has long recognized that many people with drug and alcohol problems pass through emergency departments, prenatal care clinics, and other parts of the medical care system without anyone even identifying the problem. The new strategy expands public and private reimbursement for SBIRT (Screening, Brief Intervention, and Referral to Treatment), the most promising response to these systemic shortcomings. ONDCP is also applying successful integrated care models used in the Department of Veterans Affairs, applying these approaches to expand addiction services at Federally Qualified Health Centers and the Indian Health Service. Wonderfully, the Obama administration has quietly revolutionized financing of addiction services. This change is readily overlooked because it occurs outside the $15.5 billion “National Drug Control Budget.” In The Washington Post, for example, the Drug Policy Alliance’s Ethan Nadelmann wrote that the administration’s “improved rhetoric is not matched by any fundamental shift in the budget or the broader thrust of the drug policy." He's largely right about prevention and enforcement. Yet he fails to consider the billions of dollars being poured into addiction treatment under the umbrella of health reform and mental-health parity legislation. Starting in 2014, anyone with an income below 133 percent of the poverty line will be eligible for Medicaid, and will thus be entitled to a basic benefit package that includes addiction services. This one simple change will finance care for hundreds of thousands of homeless individuals, childless ex-offenders, and many others. Medicaid eligibility also finances the medical and psychiatric services serious drug and alcohol users usually need. Right now, millions of drug users lack coverage for serious co-occurring conditions ranging from depression to chronic liver disease. Also in 2014, the new health insurance exchanges will require insurers to provide addiction and mental health benefits on similar terms to those provided for other medical and surgical benefits. Altogether, an estimated five million uninsured Americans with substance use disorders will gain insurance coverage. "I think those are fairly new terms and words. And I think they have resonated well, not just in Mexico. ... The second thing would be to work with much greater intensity, in keeping guns from going across the border into Mexico, and in reducing the cash that goes back to Mexico that fuels those cartels." It's hard to quantify the resulting gains in American global standing, I am convinced that these gains provide an important boost to our ability to deal cooperatively with the international drug trade. 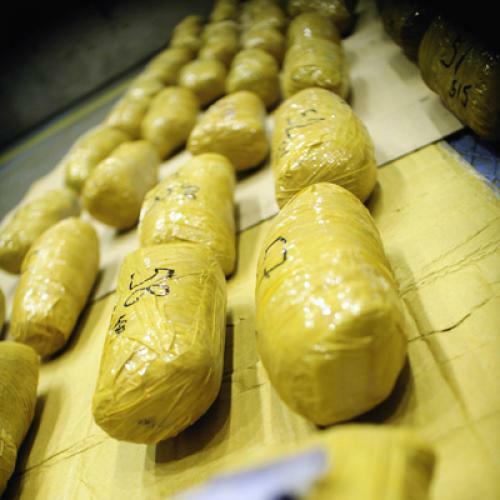 In sum, America is now committed to pursuing imperfect but greatly improved drug policies. Their ultimate fate may rest on Kerlikowske's ability to thrive in an administration that is visibly wary of focusing on drugs, and that is obviously loaded with other priorities. ONDCP faces real challenges, in its budget and even in filling out its organization chart. Key nominations remain stalled by anonymous Senate hold. Moreover, McLellan is leaving. His own deputy, Keith Humphreys, is leaving, too. These are real losses. These efforts will ultimately stall unless Vice President Biden, ONDCP's mercurial patron, provides more vigorous and more public support. Based on what I've just seen and heard, they deserve a serious chance.